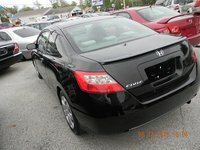 Users ranked 2009 Honda Civic against other cars which they drove/owned. Each ranking was based on 9 categories. Here is the summary of top rankings. 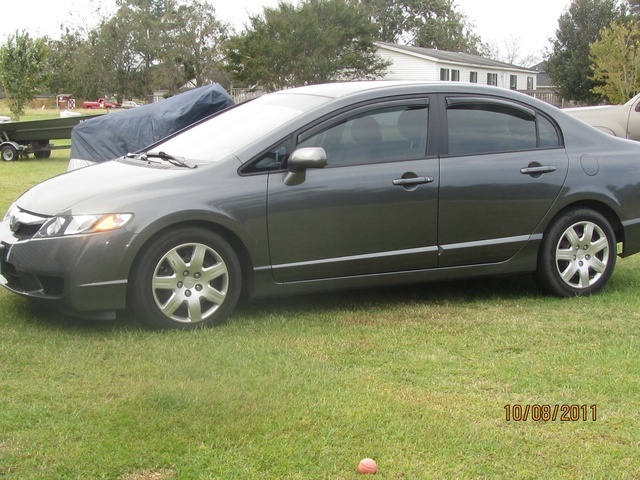 Have you driven a 2009 Honda Civic? Displaying 1 - 10 of 65 2009 Honda Civic reviews. Handling Ranked 2009 Nissan Sentra better. "It looks nice and has a bit extra space." Value Ranked 2009 Nissan Sentra worse. "The Honda is reliable and cost less to maintain." CarGurus has 73,258 nationwide Civic listings starting at $995. Best Economical Car — I traded my v-8 truck in for my Civic, the gas money I saved going 60 miles one way alone paid my car payment. Never had any major issues with the car. would buy again, and again, and again! Great Basic Car For College Students — I really like the interior dash board design. The blue gauges aren't as harsh at night as the green ones on my Cadillac. Great gas mileage and repair costs are very manageable. I'd recommend it to a friend or family member easily. We Loved It — We loved the civic for the five years we owned it. Not a single malfunction. Very inexpensive maintenance. Seats are pretty supportive and back seat has ample space. We took long trips with four adults in it, and did not feel cramped..
Pros: Comfortable and practical. Awesome reliability and fuel economy., Roomy back seat. Agile handling. Cons: Needs a bit more power. Noisy at speed. Rear seat only folds as a whole. Sporty, Modern, Practical, And Fun! — I really like the look of this year (2009) especially with the LX-S package. That package offers real alloys and a spoiler that make it look sportier than the regular, lower civics running around. Just don't pull up to an SI:) When I first got the car it was great. Very modern very well made, if not a bit cheep on materials. My biggest complaint was the power. Pros: Great looks, modern cockpit with a very nice steering wheel. Cons: a little hard to get into. I kept banging my head on the roof and my knee on the dash. Love This, I'm Looking Forward To Buying Another In The Future! — this is a great fun sporty car, enough room to get the kid in the back seat and have fun cruising throughout the mountains. Doubles as a great grocery getter and the color gets everyones attention. Comfy ride, sound system is awesome! When you're in traffic and you need to get around that slow poke in front of you... just ask vtec, she'll get the job done every time! Quick to accelerate, great in corners, you ask this car to do something and it get it done every time. Easy maintenance for the DIY guys! Pros: this is a great fun sporty car, enough room to get the kid in the back seat and have fun cruising throughout the mountains. Doubles as a great grocery getter and the color gets everyones attention. Comfy ride, sound system is awesome! Cons: there are no con's, its a Honda! Great Car For A Young Or New Family — Great on gas, could use some more horsepower. I am 6'7 and I can fit in the backseat, however, I would not want to ride back there on a long trip. Handles like a dream. Looks great and has little maintenance cost. Pros: Manual Transmission, Sporty, Gas Mileage, Handles well. Cons: Horsepower/Torque. Overall Interior Room. Sporty, 36 Mpg, Fun To Drive — I love this car. It's sporty and you get 36 mpg on the highway. The Civic is a great family car because you can fit 5 people comfortably. The car accelerates nicely and handles better than any car I have driven before. Over Rated — Test drove several used cars including 3 civic's, 2 Kia Forte's and 2 Mazda 3's. The Civic had the worse ride and a noisy engine. Handling was not as good as the Forte or 3. Prices of the Civic were also high compareed to the Forte and the 3. Surprinsingly, the Forte was quite smooth, more power and had a good ride. The Maza behaved similarly to the Forte. The rear seats were tight. Fun And Easy. — Good, easy, fun for moving around a busy town. I would have liked something with more power, but I am sure anything faster would get me in trouble. This car does everything I need it to do. I am 6'2" with size 14 feet and it surprisingly works well for my size, but I must admit I do like smaller cars. Pros: Gas mileage, great visibility in traffic, customizable. Cons: Not the best in winter, likely due to being light.